It is estimated that there are about 6,000 cases of typhoid in the US each year. About 75% of these numbers are contracted whilst traveling abroad. Typhoid when caught early could be treated successfully with antibiotics. However, if not treated, this disease could be fatal. 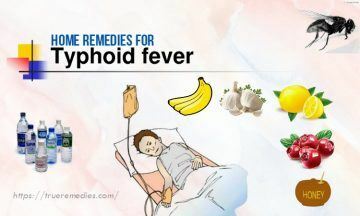 Learning some fundamental information about typhoid is necessary before you get to know home remedies for typhoid fever and headache. Read on from TrueRemedies.com below! Typhoid is the infection caused by Salmonella typhimurium (S.typhi) bacteria. The bacteria live within the intestines and bloodstreams. The condition spread through direct contact with the feces of a sufferer. It is noticeable that no animal carries this condition, so transmission is from human to human, always. From the bloodstream, typhoid bacteria spread into other organs and tissues. In fact, the immune system of the sufferer could do rather little to combat the condition because salmonella typhimurium could live in the cells of the sufferer, safe from his/her immune system. What Are Causes Of Typhoid Fever? Typhoid fever is often caused by virulent bacteria S.typhi, as mentioned earlier. Despite they are related, the bacteria which are responsible for salmonellosis (one of serious intestinal infections) and S.typhi, are not the same. It is also worth noting that even after treatment with antibiotics, some people who recover from typhoid fever keeps harboring the bacteria in their gallbladders and intestinal tracts, often for a few years. Such people, named chronic carriers, shed the S.typhi bacteria in their feces and infect other people, despite they do not have any signs and symptoms of the disease anymore. The fever will become constant. About 10% of sufferers will have recurrent symptoms of typhoid fever after getting better for 1-2 weeks. Actually, relapses are common among individuals using antibiotics. It is estimated that people in those countries which have less access to washing facilities and clean water typically have a higher risk of getting typhoid. Typhoid is spread by the ingestion and contact of infected feces (of human beings). This could happen when handling the foods or through an infected source of water. Do not eat at street food stands; just eat food which is still piping hot. Avoid raw fruits and veggies. 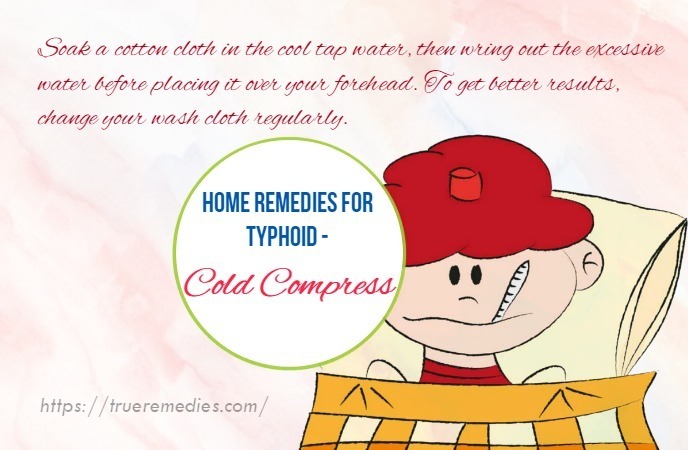 When having a high fever caused by typhoid, using cold compresses is a good treatment. This can help reduce your body temperature effectively. Soak a cotton cloth in the cool tap water, then wring out the excessive water before placing it over your forehead. To get better results, change your wash cloth regularly. Alternatively, you could also use a cold washcloth to sponge the areas such as hands, feet, armpits and groin to alleviate the body temperature. This method should be done regularly to take control of a high fever. Caution: Avoid using ice water or very cold water because it might worsen your condition. It is important to drink at least 6-8 glasses of water daily. Typhoid causes frequent watery diarrhea as well as fever, leading to dehydration. Thus, increase the intake of liquid foods like vegetable broth, fruit juice and strained fruits. Those foods can replace the electrolytes lost in the diarrhea. In case you are severely dehydrated, you might need to receive fluids intravenously in the hospital. In addition to water, you should also drink more coconut water, fresh fruit juices, glucose water, herbal teas, and soups. Add some honey to ½ teaspoon of apple cider vinegar. Drink this solution daily before having your meal. Mix apple cider vinegar with cold water in a ratio of 1:2. Mix them well and drink it a few times per day till you get a complete recovery. Heat the mixture for 1-2 minutes, let it cool down and drink it once per day. Repeat this routine for 3-4 days to get good results. 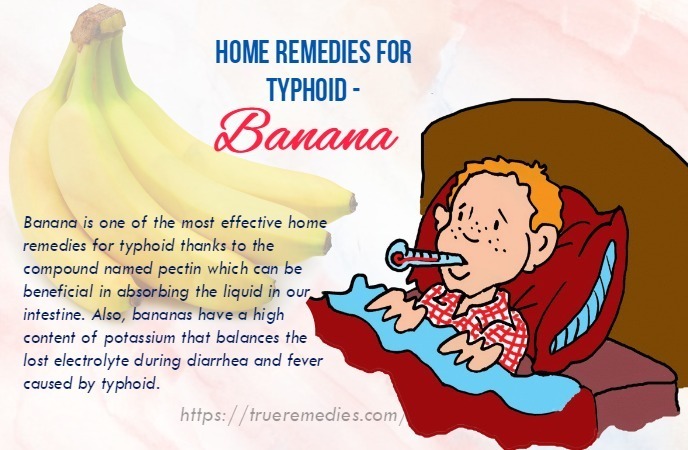 Banana is one of the most effective home remedies for typhoid thanks to the compound named pectin which can be beneficial in absorbing the liquid in our intestine. Also, bananas have a high content of potassium that balances the lost electrolyte during diarrhea and fever caused by typhoid. To make use of this fruit for typhoid treatment, you can eat ripe bananas or simply mix them with yogurt. Another great way to use bananas for thyroid is mixing the pulp of a banana with butter milk. Consume this mixture to reduce your fever. Not only does garlic have a large amount of antioxidants which can ward off the free radicals, but it also fights off bacteria in your whole body system due to antimicrobial properties. It means that garlic helps eliminate the infection by flushing out and killing out the bacteria within your body. Furthermore, garlic can remove toxins out of your system for a faster recovery. Consume 2 garlic cloves before eating your breakfast in the morning daily. It will fight off the symptoms of typhoid naturally. Add ½ teaspoon of crushed garlic in 1 cup of milk. Then, put this mixture in 4 cups of water. Drink it 3 times per day. Caution: This treatment is not suitable for pregnant women and young children. This solution will reduce the adverse effects of diarrhea while improving good health in general. Add 5 clove buds in plain water and boil it up till it remain half of the initial amount. Follow this treatment for about one week to get good results. The next one in this list of effective home remedies for typhoid is basil leaves. This is reckoned as a holy plant in the culture of India. It is because of the healing power of basil, not mention to anti-bacterial, antibiotic properties and immunity booster. Form small tablets from the mixture prepared above. By this way, your fever will disappear soon. This is an effective treatment for typhoid fever. Consuming buttermilk will alleviate your dehydration caused by typhoid fever. By drinking a few glasses of buttermilk every day after taking a meal, you will boost your recovery naturally. Alternatively, you can a small amount of fresh coriander juice to buttermilk for a fast recovery from typhoid fever. Having anti-septic properties, cranberries could prevent you from diarrhea and reduce the amount of typhoid fever. Additionally, cranberries also boost your immune system significantly. However, pregnant women or people who are allergic to cranberries should avoid this treatment. Drink the solution for about 1 week to get noticeable results. That way, typhoid’s bacteria will be killed off naturally. Also, your gut will be alkalized at the same time. Pomegranate is a healthy fruit which possess unbelievable benefits. In compared with other fruits, pomegranates have the maximum amount of antioxidants. In fact, it has about 3 times more antioxidants than orange juice and green tea. Drinking pomegranate juice can help your body recover from dehydration caused by typhoid fever. You can mix 1 teaspoon of honey in a glass of pomegranate juice to cure indigestion and dehydration problems. Also, consuming pomegranate can help fight bacteria and viruses while boosting your immune system. It is thanks to anti-microbial and anti-bacterial properties. Carrots are high in antioxidants and can improve your immunity naturally. That is why they are one of home remedies for typhoid fever. Eating carrots can alleviate the symptoms of diarrhea symptoms associated with typhoid. According to the experts of Mayo Clinic, a high-calorie diet will be beneficial for those people with typhoid fever. High-calorie foods will prevent weight loss whilst you are handling with the condition. 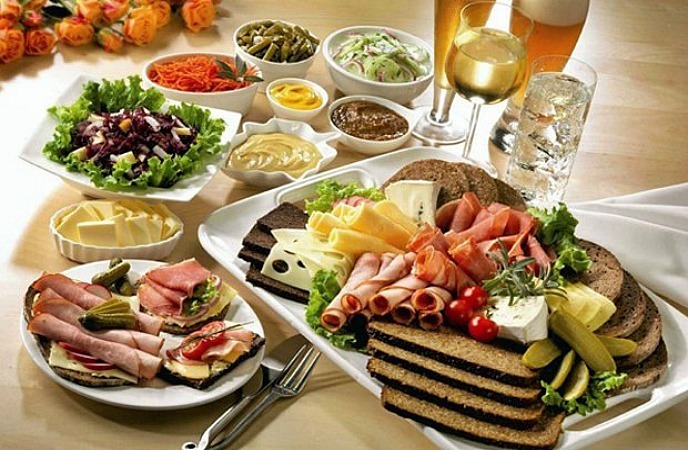 Some high-calorie foods include white rice, pasta, potatoes, bananas, fruit juice and white bread. You should also avoid consuming foods that contain roughage as they are not easy to digest and could irritate your inflamed intestine more. Also, a high protein diet is important for recovery from typhoid headache and fever. About 100gm of protein every day is highly recommended for matures. You can take a large amount of protein from eggs and milk. On the other hand, you should also avoid taking too much fiber because typhoid might lead to the damage of digestive tract and therefore any food causing irritation should be avoided. Because fiber is harsh on our digestive system, so it is better to apply a low-fiber diet plan. Foods that are high in fiber are whole grain cereals, oatmeal, raw vegetable in the form of salads, and whole wheat bread. It could add more stress on your digestive system. Furthermore, stay away from spices and seasoning such as cayenne, pepper and chilli powder, along with oily foods to avoid inflaming your digestive tract. The mighty honey is a remarkable option among home remedies for typhoid fever and headache. This ingredient is amazing at the regulation of digestion. Take one tablespoon of honey and add to a cup of warm water. Consume this remedy as many times as possible every day to replenish the lost energy of your body due to fever. Do you believe that drinking orange juice can reduce your symptoms of typhoid fever? It is because of the cooling effect of oranges. 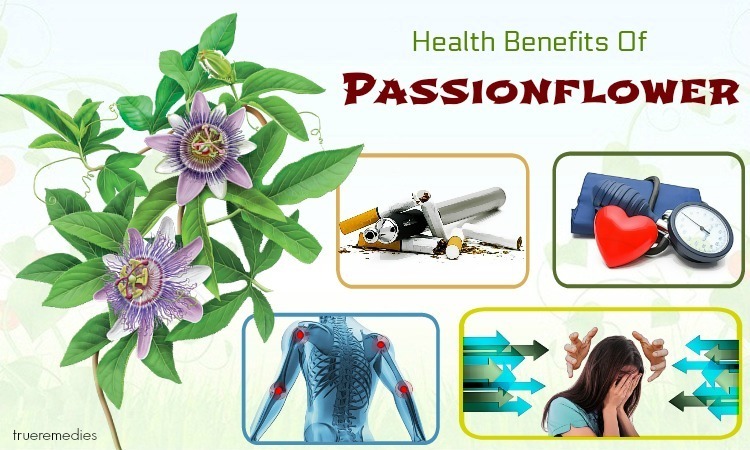 They can give you a relief from the restlessness resulted from typhoid. To take its advantage for typhoid relief, you should drink orange juice a few times per day. Maintain this habit for about 1 week even after complete recovery. Orange also helps in boosting your immunity. Thus, there is no reason for you to not indulging in this fruit. Jam packed with a myriad of powerful antioxidants, flavanoids and dietary fiber, apple juice can prevent a variety of diseases, including typhoid. Thus, you should drink the juice of apple regularly. Among home remedies for typhoid, sweet lime seems little-known. But, it does work because of the ability of improving immune system while reducing diarrhea, nausea and vomiting. Leave it there overnight and the next morning, blend them and have it on your empty stomach. 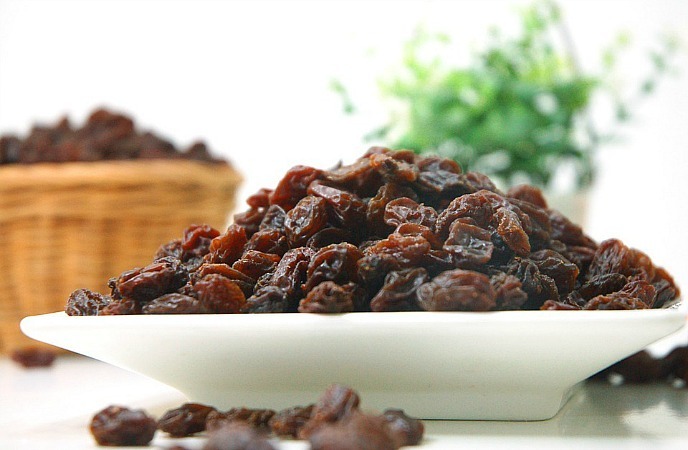 Raisins can act as a natural tonic during your typhoid fever, thereby improving your symptoms of typhoid. Drink this mixture in measures of 1 teaspoon at intervals of one hour. Scientists have observed that it is totally possible to remove the bacterium responsible for causing typhoid fever by using Echinacea, also known as purple coneflower. This is not only a beautiful garden flower blooming in autumn and summer, but also an excellent remedy for typhoid fever. American Indians love this plant, one of the best natural antibiotics. It symbolizes healing and strength. Using Echinacea can enhance your immune system naturally. Also, it treats sore throat and common cold. It contains glucose, potassium, iron, sulphur, vitamin A, C and E.
Caution: Do not use Echinacea if you are allergic to it. Blueberries like cool climates with acidic and moist soil and full sun. This plant just bears fruit after growing 3 years. Blueberry is good at combating diabetes as well as typhoid fever. It has a large amount of vitamins A and C, and potassium. Caution: Do not eat their leaves because they contain a high level of tannin, which causes anemia and constipation. 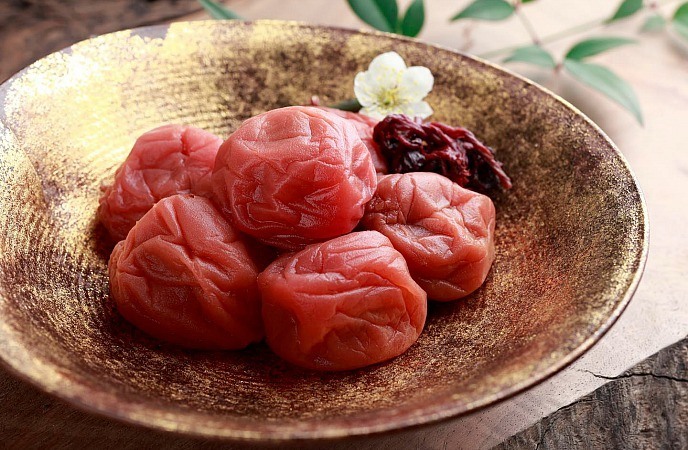 A concentrate made from the umeboshi plum could help you prevent typhoid effective. It is considered one of “Don’t leave home without it” treatments. You could buy it in the form of pills or paste. 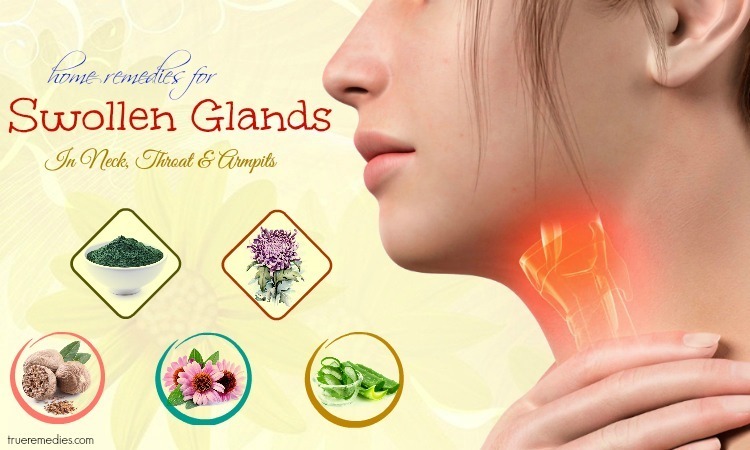 It is proven that the coriander leaves are tonic and stimulant. 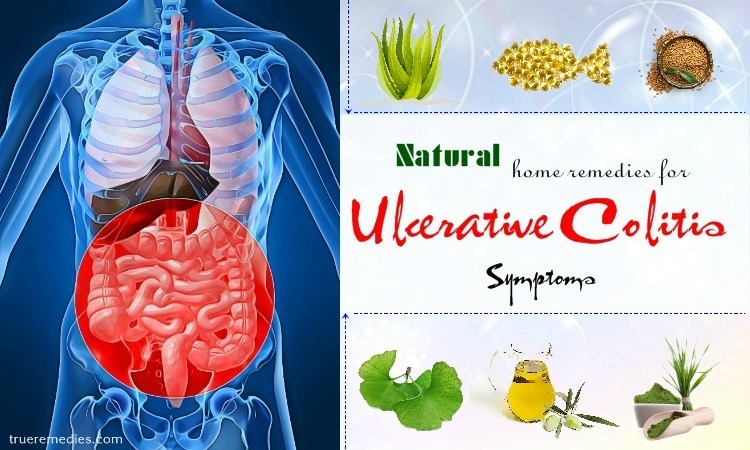 They can strengthen your stomach and promote its operation, relieve flatulence, boost the secretion as well as discharge of urine while decreasing fever. You can use coriander leaves as a home remedy for typhoid fever because it can promote a feeling of coolness. The juice from coriander leaves can be beneficial for those people with deficiencies of iron and vitamin A, B1-2, C.
You can cook at pot of rice with water at the ratio of 1:4. It is advised to use at least twice as much water as you normally do). Strain the rice. The grains could be reserved for another use. Drink the rice water regularly to treat typhoid fever naturally. Then, add a pinch of Cayenne flavor with a thin slice of lemon and sweeten into the prepared slipper elm. It is considered one of the best home remedies for typhoid fever, but not many people know it. Caution: If you are allergic or hyper-sensitive to slippery elm, avoid using it. Besides, pregnant and breastfeeding women should not follow this tip. Aromatherapy is one of home remedies for typhoid fever. For example, eucalyptus essential oil has been traditionally used to cure the infections with fever, counting malaria, cholera, and typhoid. Furthermore, physicians in France have recommended people to use lemon oil, lemongrass essential oil to get the similar effects as those of eucalyptus oil to typhoid fever. These oils have the ability to fight off against illnesses such as typhoid and malaria. Consume simple foods like legumes with rice, porridge, grilled fish, and raw or boiled veggies. Wash your hands appropriately prior to eating food or cooking meals. Avoid drinking stimulants such as caffeinated drinks, alcohol, carbohydrate drinks, tea and spicy foods. Add ½ teaspoon of psyllium seeds to 1 cup of tepid water and have it to help improve your bowel movements. Take proper rests if necessary because this condition causes weakness. The 28 home remedies for typhoid fever and headache above are used by many people around the world to treat typhoid symptoms. In general, they are safe and easy to use at home. 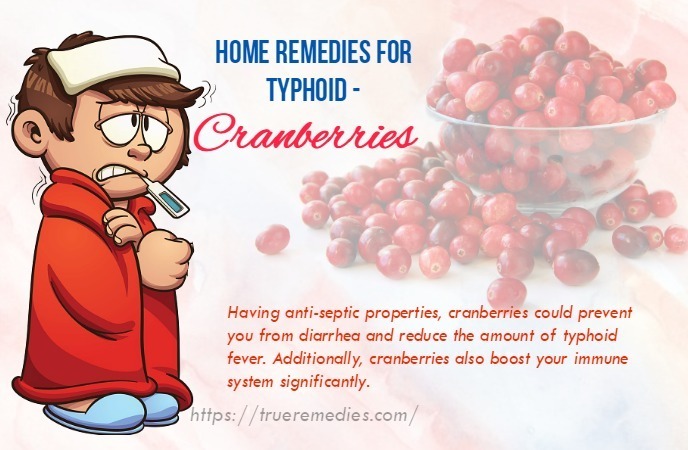 But, it is best to consult your doctor before using these home remedies for typhoid, especially if you are using any specific medication or drug. 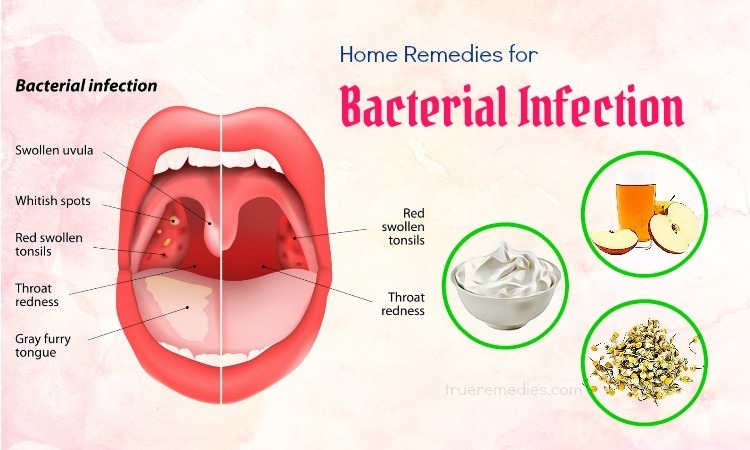 For any contributing ideas about this topic of Home Remedies for Typhoid, do not hesitate to drop your words below this post. Let other people know about your process of combating typhoid fever, and how you overcome it. We thank you and will reply as soon as possible. 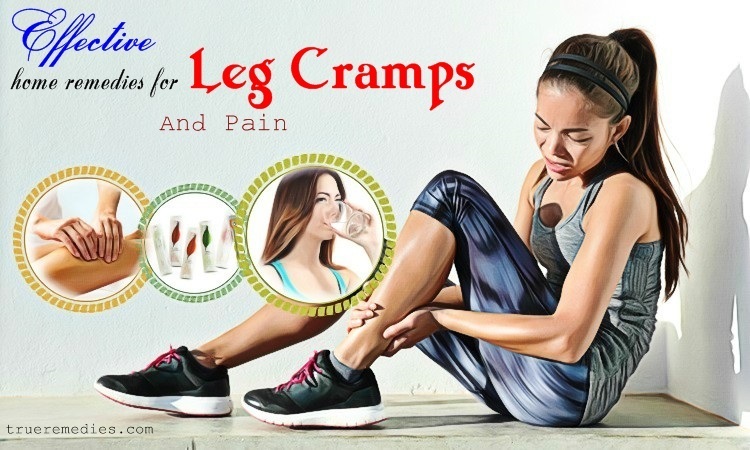 For further references of natural treatments for conditions and illnesses, check out our Home Remedies Page .